It’s time to face facts. It is not a given that just because you have a website your site is being found either on the search engines or by potential clients. Websites can be had now via India at a fraction of the cost here, Verizon and hundreds of other companies out there are now offering free or next to free websites for their customers, my uncle is designing one for his rubberband balls as we speak. Heck, you can even design a great looking one on your Mac. However, if you are a business, and if one of the main purposes of your website is to draw traffic to your site and act as lead generation, you are going to need to have a search engine optimized site that will be ranked prominently on the major search engines, not an online business card. Studies have shown that only 1 out of 5 people will click to page 2 of a search engine to find what they are looking for. 80 percent will not leave page one. Forget page 6. So how do you ensure ranking high in what is known as the “organic” or FREE middle section of a search engine page? Well here we go: Make sure your website is well optimized and designed with time tested SEO practices to ensure high ranking in the major search engines — Google, Yahoo, MSN and BING. There is a delicate balance between a search engine optimized site that the search engine crawlers will find and a well designed site that is pleasing to the eye and not so busy as to be more of a distraction than anything else. A good web designer that is capable of encompassing both elements is hard to come by, but they are out there. If your site is so keyword rich that the flow is awkward, the navigation confusing and the readability is difficult, customers will be turned off and lose interest. On the other hand, a beautifully designed site with un-tagged graphics and/or flash media, barely any keywords or meta tagging, no titles or descriptors, and lacking in inbound links will be ranked low on the search engines, and you can kiss all of that money spent on design bye bye as it has just been lost to the black hole of search engine hell. The key to a functional site that will draw traffic and encourage click throughs is to have a well designed, easy on the eye, easy to navigate site that also contains smart SEO practices. Using internal, outbound and inbound links. Lots of them. Have easy to opt in boxes, and have them placed in obvious spots that don’t have to be hunted down. Have options on the home page especially for taking action: great content converts and adds to retention on site which leads to conversions. Be written to appeal to an 8th grade audience. Really. SEO is an ever-evolving science. A quality website designer will make sure your site is kept current to keep up with the emergence of new techniques, keywords and tools. It may not be free, but the value added will in time pay for itself many times over. If your product and service is quality, you will see ROI. 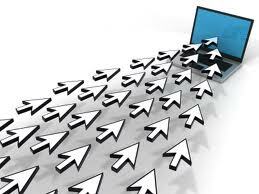 Remember that at the end of the day the best websites out there can only bring traffic to your site. It can’t convert the business or retain the customers for you — that is your job. You don’t want your website to be just another pretty face, you want it to bring in business. So go get ’em.